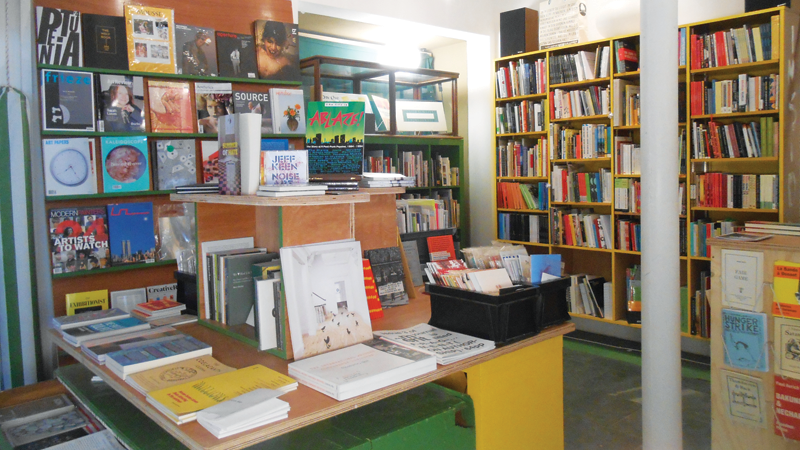 Aye-Aye Books is an independent bookshop based within the Centre for Contemporary Arts (CCA), Glasgow. We are an art bookshop with radical intent. We carry a range of books about art and by artists, particularly small-run and self-published titles, alongside books that look at the theoretical, social and political context. We have many books about radical thought and movements, left-wing and anarchist politics. We have magazines and journals, zines and pamphlets, experimental fiction and poetry, locally produced CDs, vinyl and cassettes, multicultural children’s books. We don’t sell ‘gifts’, clothing or cards, and we steer well clear of coffee table art books. CCA was originally the Third Eye Centre, set up by Tom McGrath (former editor of the International Times) in 1974 as a centre for the counter-culture in Glasgow. It is in this spirit that we operate. This entry was posted on June 10, 2018. It was filed under ARB Newsterms.